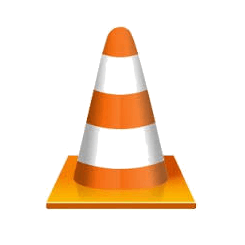 VLC 2.2.0, codename WeatherWax, finally goes stable. Here’s how to upgrade it in Ubuntu 14.04 LTS or Linux Mint 17.1 while it’s already made into Ubuntu repositories for 14.10 Utopic and 15.04 Vivid. The 2.2.0 release is available in the Software Center for Ubuntu 14.10 and Ubuntu 15.04 out-of-the-box. Thanks to Doug McMahon, VLC 2.2.0 for 14.04 Trusty is available in this PPA. Please read the PPA description before press Enter to continue adding the PPA. Please don’t do it !!! Thank you so much Ji m. It works fine. Now I have my new version of VLC on my notebook. Is command install VLC with all it’s plugins?? I did what you said and what the instructions in the PPA said (both kinds of upgrade commands). It uninstalled my vlc and didn’t install the new version. in the error message it says that the vlc is dependent on some packages that are either not going to be installed or are not installable. Unless someone has any idea how to fix this problem, whoever is reading this shouldn’t follow these instructions. The uninstall part broke my ubuntu. I cant now install the stable vlc back. As Francesco said, DO NOT do a sudo apt-get dist-upgrade! Also, be sure to disable the repository right after installing VLC 2.2.1 (or whatever version you ended up with) or you will be pulling in stuff that you don’t want with regular software updates. I repeat, DISABLE the repository after installing VLC! launch Software & Updates, disable or remove any third-party repositories in Other Software tab. What if I already did sudo apt-get dist-upgrade? Is there any way to undo it? I want connect internet using my Karbonn Titanium S10 mobile. How Can I Do it. Also Whenever I want connect my phone using Bluetooth it not properly connects. That mean From Laptop I can send files to mobile but reverse is not possible. Please tell how can I solve this. Thanks, Ji m and Bryan G, i can now watch x265 videos on Linux Mint and i just deleted the ppa from my software manger when i was done upgrading. Installed on Linux Lite 2.8 perfectly. I think there may be a negative ricochet effect that the experimental plugins may install experimental dependencies and in this way screw up your installation. That is if what is said above is true. Better safe than sorry at this stage of the game since I do upgrade often.